Manyata Ministries℠ is Lisa Olson’s mission to deliver God’s message of acceptance and love to the nations. Everyone faces challenges throughout their lives. Born without arms or legs, Lisa Olson, learned to face challenges many people would view as insurmountable. However, the Lord’s divine hand has been evident since Lisa’s birth. “The underlying themes of my life have been acceptance and overcoming obstacles,” Lisa attests. “The Lord has been so faithful and has truly blessed me.” From her rescue by a Christian doctor in India, to her adoption by an American Missionary and then on to her life in the United States, God has been Lisa’s rock. 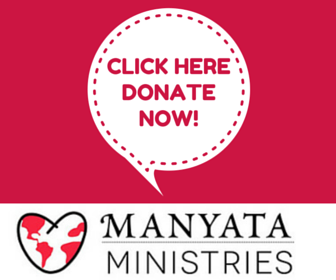 Lisa established Manyata Ministries℠ to help people realize their individual acceptance and identity in God. The inspirational message of love, hope and courage, is presented to many thousands in the world. Lisa’s motivational message, injected with her engaging personality and sense of humor, tells the story of her disability, the challenges she has faced, the life lessons learned and opportunities she has been given. Through Lisa’s story, you will see how, with God’s help, you can achieve your goals despite the challenges you face.